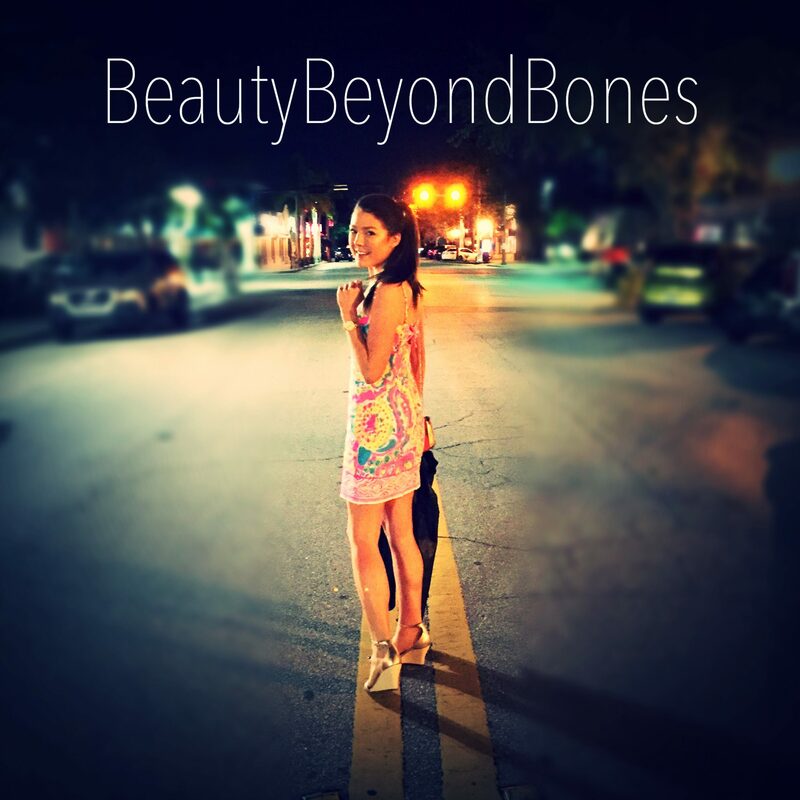 So I wanted to just take a minute to explain what Beauty Beyond Bones means to me. During the depths of my anorexia, my skeletal frame was the physical manifestation of my interior brokenness. One of the many lies ED made me believe was that emaciated bodies were the definition of beauty – the definition of self-worth. ED made me believe that I would only be enough if I were gaunt and skeletal. Reflecting on this now truly breaks my heart and makes my soul ache from seeing how deeply broken I really was. And it gives me so much sorrow to think that many people reading this may feel that same way. And I’m going to be honest with you. This aspect of recovery — the mirror – has been one of the most difficult parts of recovery. It has been an area that ED can still control me with. As I’ve said before, since my anorexia, I’ve hated the mirror. I avoid it at all costs, unable to see the beauty in my reflection, and instead seeing the projection of my guilt, shame, and inability to love myself, onto my reflection. It is a daily battle, and it’s the first thing that greets me every morning when I have to look in the mirror and brush my teeth. And I’m not “above” poor body image thoughts, either. Even though I am in recovery, I still battle with over-scrutinizing my body, and to say that I am “harshly critical” would be a grotesque understatement. So trust me. I get it. This is my mantra. This is the phrase that I have to say to myself every time I face my reflection. Every time I go shopping. Every time I put on my bathing suit or take a shower. Every time I go to an audition where they’re holding a casting next door for runway models. My Beauty is Beyond Bones. My beauty is from Christ. I’ve said this before, and I’m not going to get preachy. But this has been so instrumental in my recovery. My beauty is not my own. It is because I am made by God. Psalm 139: For You created my inmost being; You knit me together in my mother’s womb. I praise You because I am fearfully and wonderfully made. Yes, my physical body – my flesh, muscles, bones – they’re beautiful, because they’re the handiwork of the Lord. My true beauty comes from the fact that Jesus is living inside of my heart. He dwells within me. And He will dwell within you, too. Now I want to pause here, because when I was in my disease, my mother used to tell me that. And even though she was 100% right on the money, I didn’t want to hear it. I didn’t want to think about being a child of God. I wanted nothing to do with it. I just wanted to be alone with ED, self-destructing. So here’s something that I could have related to a bit more. I was that pile of dead, dry bones – both literally and figuratively. My hope was dried up, my body was dried up. I was lifeless: a shell of a human, without passion, without purpose, without hair, and without the belief that I could go on. I was a bunch of dead bones. But Jesus breathed life into me. Into my dead bones, and brought them to life. He restored me. Restored my body, my spirit, my mind. He took the old, dead me, and gave me new life. He made me a new creation. And He will do the same for you. Believing that my beauty is beyond bones has been a long and arduous journey. And if I’m really honest, I’m still on it. But every day, I’m getting closer. Every day, Jesus works a little more and more on my heart. But I celebrate the fact that I am no longer that pile of dead, dry, bones. God has breathed life into me, and now I can truly live. And since His spirit lives within me, He is always with me and I am never alone. And so I will keep fighting, until one day, when I brush my teeth, I won’t have to try to convince myself of my worth or beauty. I will look in the mirror and know it. Yes! Moving forward in faith is one of the hardest and most freeing things to do. Jesus frees us to move forward, whatever happens, knowing that it is all under His control. thank you so much Emily. You’re so right. We can do all things through Christ, who is in control. thanks for stopping by! Sometimes a new name is just what we need, opens up new doors and new paths. God bless you in all that you do. thank you so much. yep new doors, hopefully! thanks for stopping by! What a wonderful and beautiful reflection on God’s Word. It’s so true that the mirror is one of your worst enemies throughout recovery. I’ve actually been trying to consciously not look at the mirror whenever I walk past one. I still look in the mirror to make sure I look decent (face, clothing all in place, etc. ), but I don’t want to focus on my body shape anymore. I feel amazing, and that’s all that matters. This is such an interesting perspective on an issue that effects so many people. We are looking to start a Sunday culture issue feed on our site squaredpolitics.com, and are wondering if you’d be interested in possibly contributing. If you are just email me at owen@squaredpolitics.com. Thanks! Thank you so much! I appreciate you stopping by! Hugs! Absolutely beautiful! Thank you for sharing!! This is a subject that if ignored much to the detriment of so many. Thank you so much Berry. That means a lot. Thank you for the encouragement. Glad you stopped by! Hugs! I’ve enjoyed reading through some of your blog in the last day or so and really admire how candid you are about what you have been through. Your perspective and honesty are an encouragement to me, so thanks! I struggled with body image issues for years and at 34, still have my moments with it here and there, but God has brought so much healing. More than I could have ever imagined! Thanks again. You are encouraging so many others who are on the same path and want/need healing. First, I’m glad you changed your site name. It says so much more. Second, I know you are beautiful. I’ve never seen you; doubt I ever will. But YOU are in your writing. The beauty God gave you shows up in your writing and your witness. Third, that inner beauty makes you physically beautiful. I was in acting too for a very short time. I knew some drop-dead gorgeous woman who suddenly got ugly when I got to know them. Same looks, different reflection. By the same token, I’ve known women who would not exactly snap your head around, but once I got to know them, the sight of them would make my day. Think of yourself as a Tiffany lamp. You always look great when the light is on! Oh my gosh Jeffrey, what kind words. Thank you so much!! Wow, you have just brought a huge smile to my face and warmth to my heart. thank you:) and I love that quip about the tiffany lamp! So true! I’ve read a little bit of your story. Thank you for sharing it. God sure is good to us, isn’t He? I just want you to know that I have a book of intentions that I pray over daily, and I’ve added you to it. I’m praying that God increases the abundance of your life. God bless you, friend. You’re awesome! Thank you so much. You’re absolutely right-God is SO good! And thank you for the prayers, friend:) Thanks for stopping by! I liked the positiviy. I’m also surprised to learn that women sometimes are not close to God. It was informative comment there. Also thank you for Ezekiel. I’ll go and read more about it. Beautifully written and so true as always. Thank you. Hey Jacob! Thanks for sharing my interview!